I have been awardered! The Linky Love Train inspired for new awards and now they are passed to the people in the train in several blogs. Thank you Jesie to bringing this to my attention. I really don’t know what I have been thinking…All of those who were in the Linky Love Train can check their addresses in the blogs I mentioned. I was to pass these awards also to all in my BlogRoll. 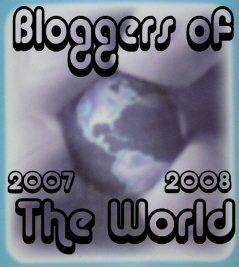 If somebody has passed the award and I have not listed your blog, inform me, and I'll add the link. Link Love Rules - Make Blogs Not Wars. Hello there my friend! Thqank you so much for your comment on my blog and congrats on your award..and I've given you some link love...I hope you'll do the same my friend! Bless you and happy new year! Txs for linking my blog..